Employees shouldn’t have to worry for their safety when they go to work, but in some industries safety is a valid concern. Even though employers are legally required to take necessary and reasonable precautions to create a safe work environment, on-the-job accidents, injuries, and fatalities still happen. In fact, according to statistics from the U.S. Department of Labor’s Occupational Safety and Health Administration, also known as OSHA, 2,905,900 private industry workers suffered non-fatal workplace injuries and illness—and 4,836 lost their lives in workplace accidents—in 2015 alone. Unfortunately, many of those injuries and deaths occurred in the construction industry, which can be inherently hazardous. However, OSHA regulates workplace safety in the United States, and actively works to reduce the number of on-the-job accidents and injuries that occur each year. 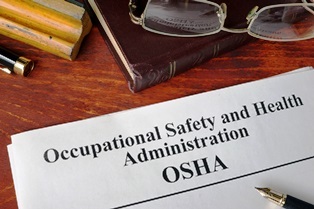 In this article, learn more about OSHA, OSHA inspections, common OSHA violations, and how your employer’s OSHA violations may impact your construction accident personal injury case. Congress created OSHA in 1970, when it passed the Occupational Health and Safety Act under President Richard Nixon. The agency was created to standardize and enforce workplace safety regulations, as well as provide education and outreach designed to reduce on-the-job accidents and injuries. OSHA is a small federal agency with a large job. From its 10 regional offices and 85 local area offices located across the U.S., OSHA’s approximately 2,100 inspectors regulate the health and safety of 130 million workers at more than 8 million job sites in the country. To say that OSHA inspectors have a lot on their plates would be an understatement. The agency’s inspector-to-worker ratio averages to a single inspector per approximately 60,000 workers. What Happens During an OSHA Inspection? The idea of an OSHA inspection can be intimidating for both construction companies and their workers. However, knowing what to expect can make the experience a little less stressful. When the OSHA inspector arrives at the job site, they’ll meet with the construction company owner and foreman to go over the inspection process and review any paperwork related to workplace injuries or complaints of workplace hazards. The inspector tours the construction site with representatives for both the construction company and its employees. After touring the job site, the inspector interviews employees, and addresses any questions or concerns they might have about the safety of their workplace. Before the inspector leaves, they may also informally mention any potential regulation violations spotted during the inspection. Construction workers injured on a job site may find that workers’ compensation benefits are insufficient to meet their needs. However, if the accident was caused by an employer’s negligence, or if the employer has chosen not to offer a workers’ compensation insurance program, employees may be able to file a personal injury lawsuit to seek compensation for a wider range of damages. So, where does an employer’s OSHA violation come in? These violations may help strengthen the claims of an injured construction worker’s personal injury lawsuit. In fact, in some states, an OSHA violation can be used as clear evidence of negligence on the employer’s part. Do You Need a Construction Accident Attorney? If you were injured in a construction accident caused by another person’s negligence, you may be entitled to damages beyond what’s available through workers’ compensation benefits. Contact McGartland Law Firm today to schedule a free, no-obligation initial consultation to discuss your case with our award-winning legal professionals.